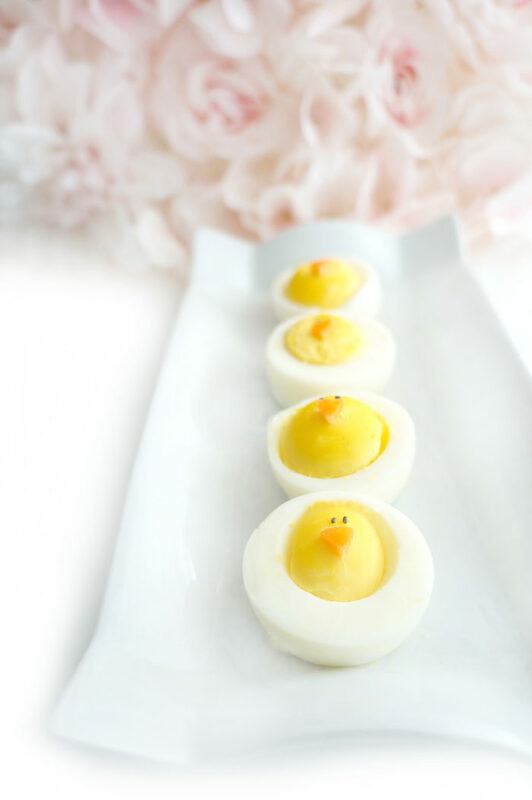 These cute hard-boiled egg chicks are the perfect protein-packed appetizer, snack or brunch option for entertaining. They also make a great back to school lunch or snack. Plus, they’re healthy, easy and fun for both kids and adults! One of my favourite things to do is research cute seasonal food ideas. It’s just so much fun having a theme to work with! For Valentine’s Day, I had a blast making these Valentine’s Energy Bears and now, since Easter is right around the corner, I’m all about the baby chicks, bunnies, florals and pastels. Like c’mon, does it get any better than that?? All of those things just give me the warm fuzzies and are a great reminder that Spring is near! 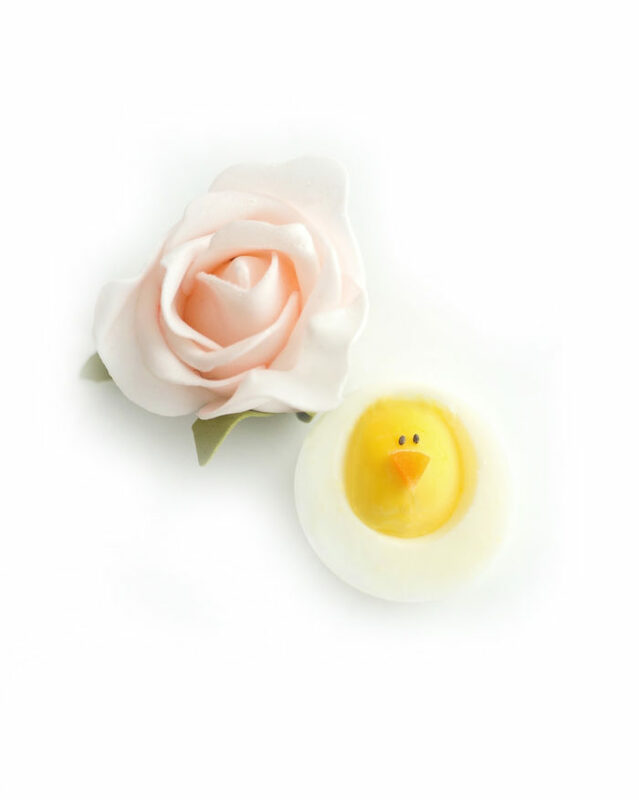 So of course, when I saw these hard-boiled egg chicks on CBC, I had to try them out, because, how cute are they?! Plus, as I mentioned in my quiche post, I’m all about the eggs, especially at Easter time. What I also love about these little chicks (besides the fact that they’re super cute!) is that they literally take less than 30 minutes to prepare. Brunch doesn’t get much easier than that! They make a great little appetizer, snack, or brunch option to serve to guests and as an added bonus, eggs are nutritional powerhouses! 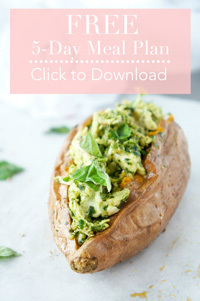 They are packed full of protein and iron and also contain choline, vitamin A, B12 and D! I always recommend incorporating some protein in a meal because it can help make you feel full for longer which can stave off cravings for all of those other Easter goodies (AKA those giant chocolate bunnies). 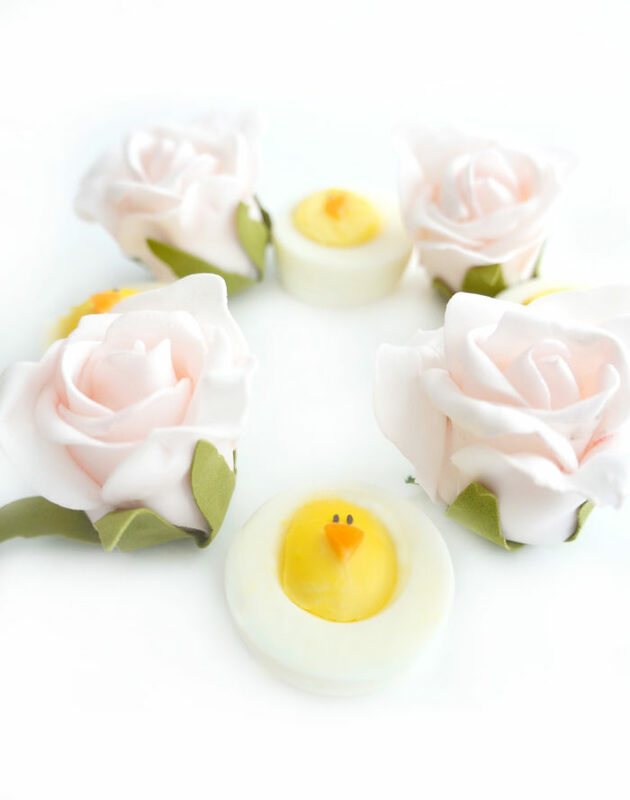 I recommend arranging the hard-boiled egg chicks on a white tray with some flowers to really make them pop… AND to get in full-out Easter mode! 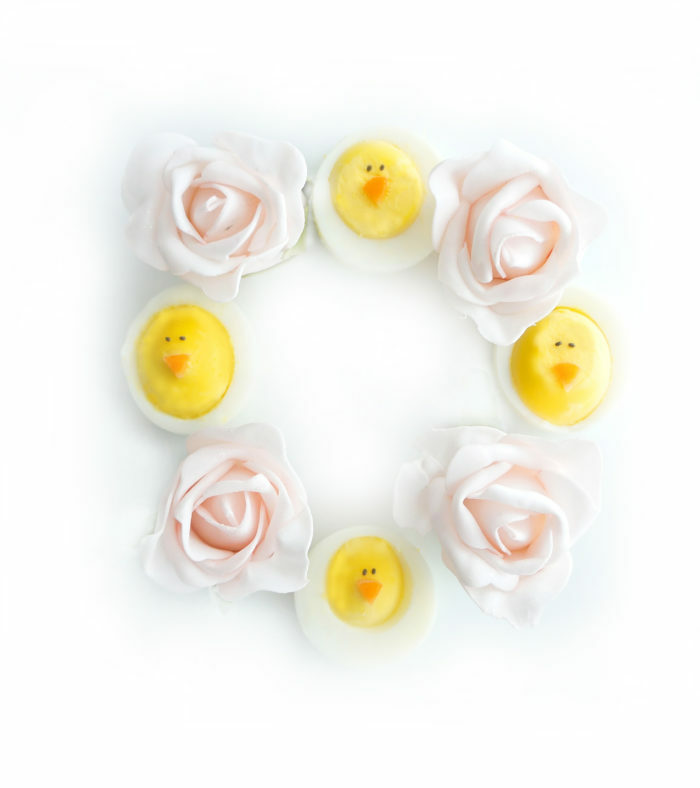 Perfect for both kids and adults…I guarantee that these little chicks will bring a smile to everyone’s face! Place eggs in a saucepan large enough to accommodate them in a single layer. Fill pan with cold water, covering eggs by 1 inch. Bring water to a boil over medium-high heat. Turn off heat, cover, and let stand for 11 to 12 minutes. Once the hard-boiled eggs are cooked, transfer them to a bowl of ice water (this will prevent discoloration and help with peeling them). Let eggs stand for 2 minutes, then crack by gently pressing egg against a hard surface. Peel under cold, running water. Slice each egg in half. You may need to cut a small portion off each end so that the chick's head sits flat. 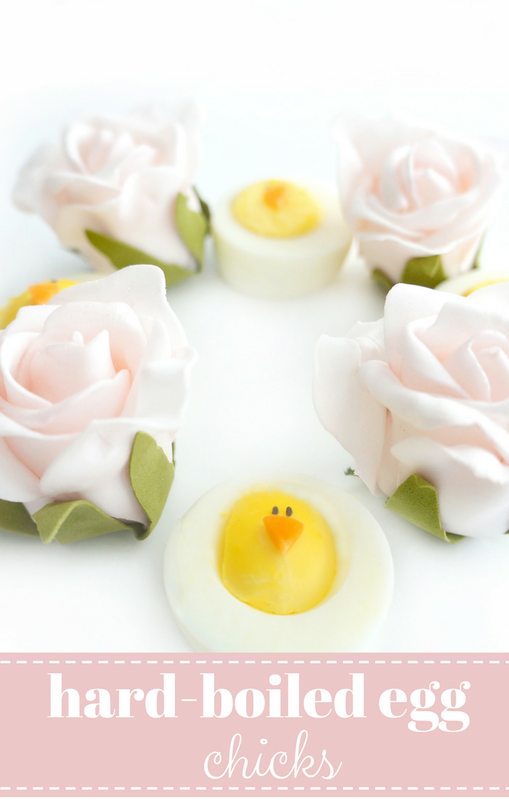 Arrange halved eggs in a single layer on tray or plate. Cut 3 thin slices from a carrot. Next cut each slice into quarters. This will be the chick's beak. Place the beak in the centred of the hard yolk on each egg slice. Place two chia seeds above beak to form the eyes. Serve and enjoy!